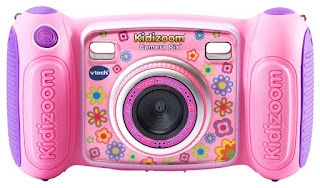 Head over to get this VTech Kidizoom Camera for ONLY $29.73 (Retail $39.99)! This kid-friendly camera includes all the tools budding photographers want to use! Take photos in a variety of exciting templates to create your own photo collages. Explore your creativity by using static and animated photo effects to enhance your pictures.